The Italian wedding string quartet Tuscany is a group of musicians who carries out its activity professionally in various musical fields. The musicians play in concerts and tours as a string quartet (but also as a trio and duo) in theatres and squares throughout Italy. They work regularly in established orchestras and classical ensembles of national importance. They are music teachers in public and private schools. They are actively involved in contemporary music, pop, jazz and alternative rock formations. The perfect musicians for an unforgettable wedding day! 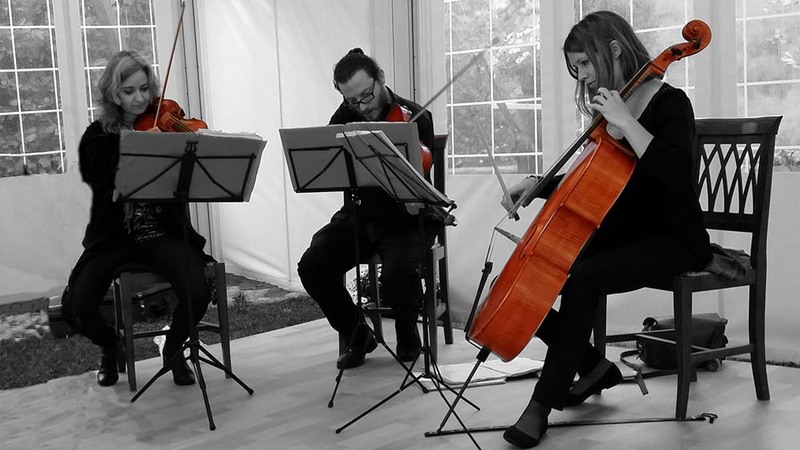 Thanks to the great experience gained in all the musical fields in which they have worked, for a period of over 15 years, these talented musicians are also successful in the musical entertainment for weddings in Italy as a wedding string quartet, string trio and string duo. They are highly sought after for weddings in Tuscany, Umbria, Rome and Lazio and Marche but also in other areas of Italy, like Lake Garda and Lake Como (just to mention some of the best known locations where most international weddings take place in Italy).. The Italian wedding string quartet Tuscany is available throughout Italy and is without any doubt one of the most renown and appreciated string bands for weddings in Italy. Quartet, trio or duo? Choose what you like! The Italian wedding string quartet Tuscany boasts a long experience gained over the years, having played in over 500 weddings of foreign couples in Italy and abroad. 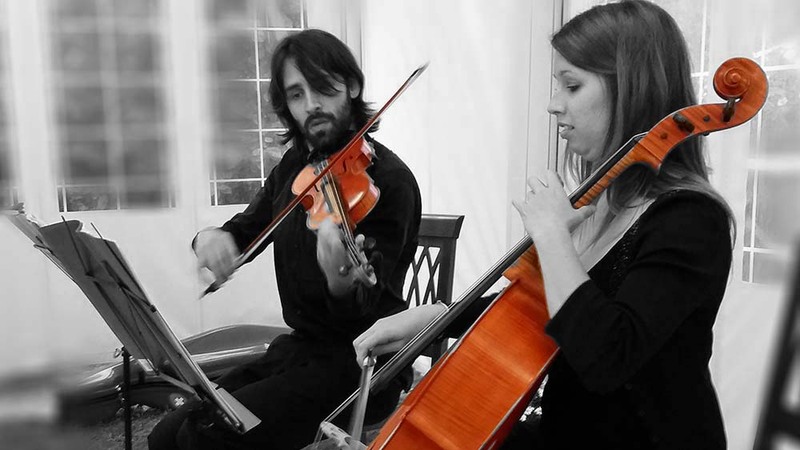 The ensemble is available for wedding ceremonies and wedding aperitifs in its classic string quartet (2 Violins, Viola & Cello) but also as string trio (Violin, Viola & Cello) and String duo (Violin & Cello). The spouses can choose and book the band that best suits their tastes and desires. The italian wedding string quartet (or the trio or duo depending on your choice) will play the right song at the right time at your wedding ceremony, moving you on your special day, and touching your your friends and relatives too thanks to their renowned skill. They will perform a real concert for your wedding aperitifs, capturing the attention of all your guests with a performance of indubitable success. When possible, they can also perform in larger music formations with other musicians or singers. 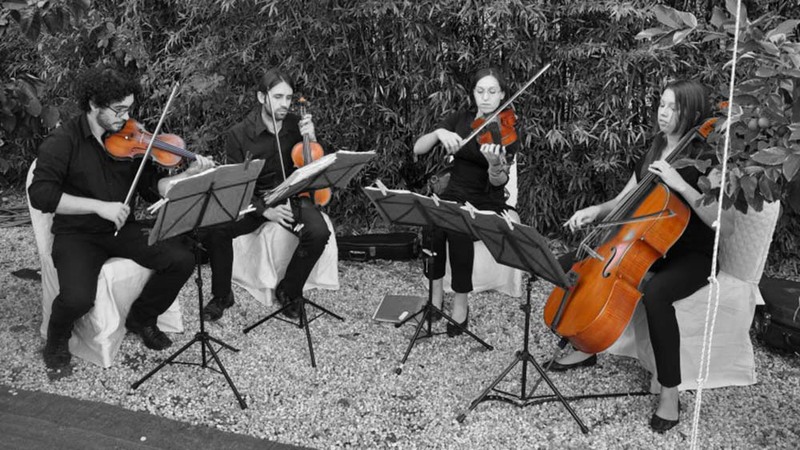 The musicians of the Italian wedding string quartet Tuscany have a beautiful and extensive repertoire which includes the most important and requested pieces of classical music but also many beautiful modern songs and hits of the moment adapted for quartet, trio or string duo. Also, they are happy to learn and play songs on request!! Ask for the repertoire! Contact the string quartet HERE! CONTACT THIS STRING ENSEMBLE through our contact form HERE!